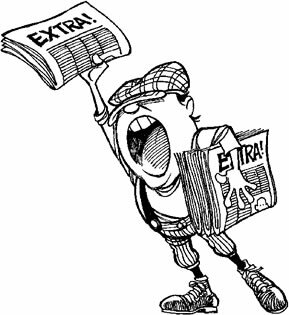 The roundup of this month’s news includes parties, trials, meetings and a greenish light for embryonic stem cell research… an often controversial activity in the United States that has been embraced by molecular biologists worldwide. 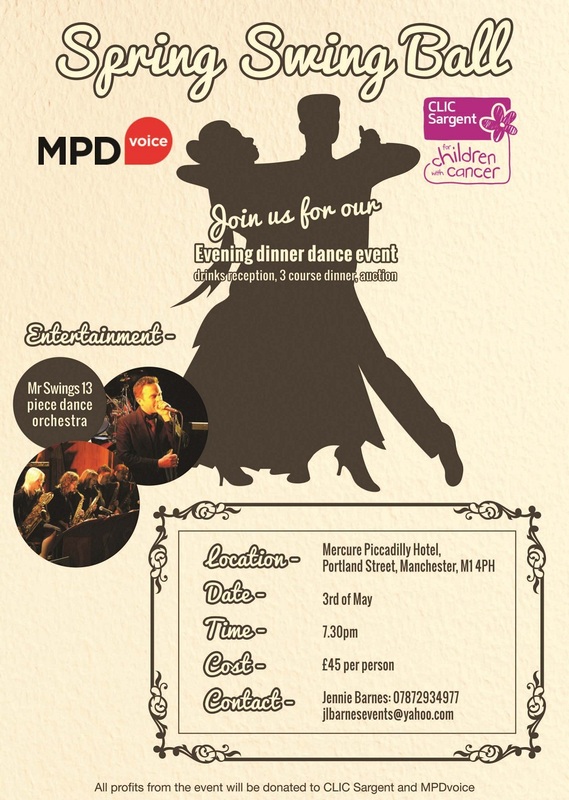 First, the party... You can lend a hand to the UK’s MPD Voice and CLIC Sargent, the charity for Children with Cancer while dressing up for the Spring Swing Ball at the Mercure Picadilly Hotel in Manchester (Friday, May 3rd). Let your fingers dance over to the poster on the right and click for a closer look…. The trial is yet another clinical investigation into a drug with aspirations to impact the market beyond myelofibrosis with another version of JAK2 inhibitors. This one, a Phase 3 trial of Pacritinib called PERSIST-1 (Pacritinib vERsus beST available therapy in patIentS with MF) is backed by Cell Therapeutics with principal investigators Guys & St. Thomas’ Claire Harrison and Mayo Clinic’s Ruben Mesa. With Jakafi already available, and the old Cytopia and TargeGEN — both now sailing under different names and corporate flags — rounding the stretch for approval in 2013 you’d think the MF patient universe is already over-served. Could be, but each of these drugs has a slightly different molecule, possibly finer tuning. For example in the PERSIST-1 trial patients will not be excluded based on low platelet counts, supporting the claim the drug will not contribute to thrombocytopenia or anemia. So few of us and so much corporate investment... On a per capita basis, myelofibrosis may well rank as the most heavily researched disease on the planet…and all thatJAK inhibitor research is now getting applied to PV and ET as well. As reported here before, myelofibrosis is likely the smallest population ultimately to benefit from janus kinase inhibitors, a group whose ranks include the great and growing mass of patients suffering from rheumatoid arthritis. PERSIST-1 Trial details at http://www.clinicaltrials.gov…. 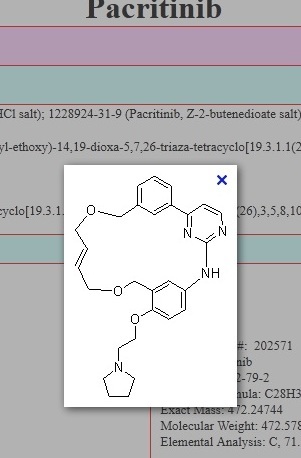 One result of this massive investment in JAK inhibitors is the determined effort of Big Pharma to extend the MPN clinical and scientific knowledge base. Take the Spring Meeting organized by Imedex (“Education is the Best Medicine”) a subsidiary of AmerisourceBergen, the drug distribution giant. 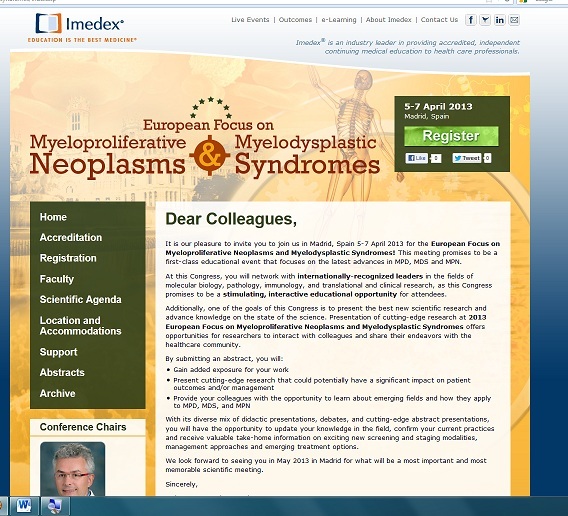 Imedex is offering an MPN/MDA European Conference in Madrid, mid-April, sponsored by powerhouse Novartis (which owns the rights to Jakafi sales outside the United States). All this corporate involvement in educating physicians and healthcare professionals about the little world of MPNs might raise an eyebrow or two but check out the program and faculty. The serious, non-commercial scope of this CME-sanctioned program and the world-class level of contributing researchers and clinicians quickly puts all doubt to rest. This is a heavy duty educational event bringing together the folks writing scientific papers and running clinical trials with hematologists and healthcare practitioners in the field who need to get up to speed. Stay tuned for future details and video. Which takes us to one inaction that might have a more profound effect on finding an MPN cure than any clinical drug trial. Earlier this month the U.S. Supreme Court cleared the decks for expanded human embryonic stem cell( hESC) research by refusing to hear an appeal by two scientists who had been working with less nimble Adult Stem Cells. Rules the Obama Administration put in place in 2009 permitted work with expanded lines of hESCs reproduced in controlled conditions, to move forward. The NIH has reportedly invested over $500 million in such research. The U.S. 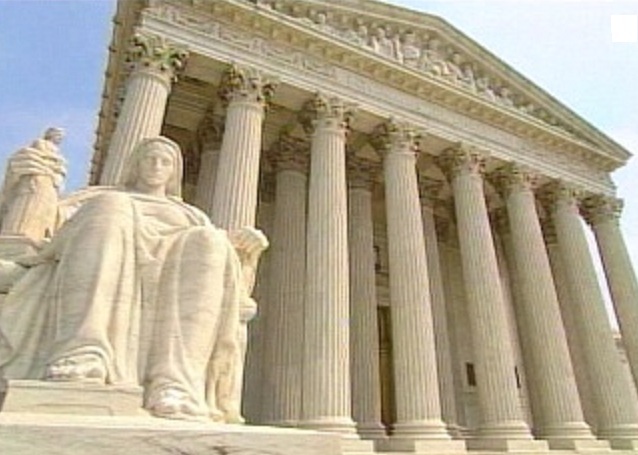 Circuit Court of Appeals for the District of Columbia last year threw out a lawsuit challenging federal funding for the research leading to the Supreme Court appeal. Since the United States Congress in 1996 prohibited the use of Federal funds for hESC research, US work in stem cell research, funded privately to by-pass the restriction, had lagged. Embryonic stem cells, essentially a blank slate which can be coaxed to develop into many different cell types, is expected to play an important role in curing deadly diseases such as diabetes, Parkinsons and blood cancers.. ..